What would you do if you learned that your mother was living a second life in another town? Nell receives a phone call one day from a hospital in Vermont letting her know that her mother has been admitted to their ICU, but Nell is confused because her mother lives in a senior's community in Massachusetts. And her mother no longer drives. What is she doing in Vermont? How did she get there? As Nell sees her mother in the hospital, weak and unable to really speak, Nell learns from those around that her mother has a complete second life, complete with a lakeside cottage, car, neighbours, Fall Festivals, and even her own puppy. As her mother remains in the hospital, Nell and her sister Bridget begin unraveling the secrets of this other life. 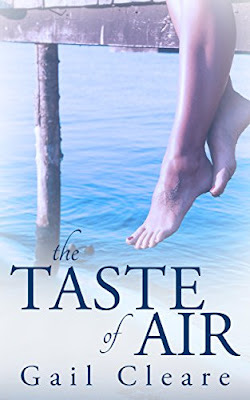 I really enjoyed reading The Taste of Air! It pulled me in from the very first page and had the perfect balance of secrets and suspense to keep me going. To give you a taste, you can read chapter one here. Timelines from Nell, Bridget, and their mother Mary interweave throughout the novel, slowly revealing pieces of a complicated puzzle. I always love novels where the characters' stories steadily merge together at the end, and I found the three women's different lives easy to follow. 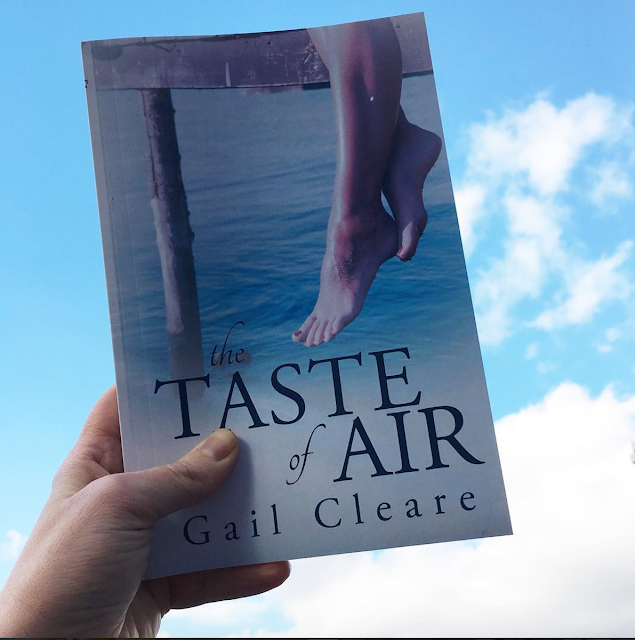 The Taste of Air is about love, longing, family, friendship, impossible choices, and the internal struggle we all face to find a space that we can call our own. "What we do for love...to ourselves and for each other." Disclaimer - I was sent a copy of The Taste of Air courtesy of the author. All thoughts and opinions are entirely my own. You can connect with Gail Cleare on her website, Facebook, and on Twitter.